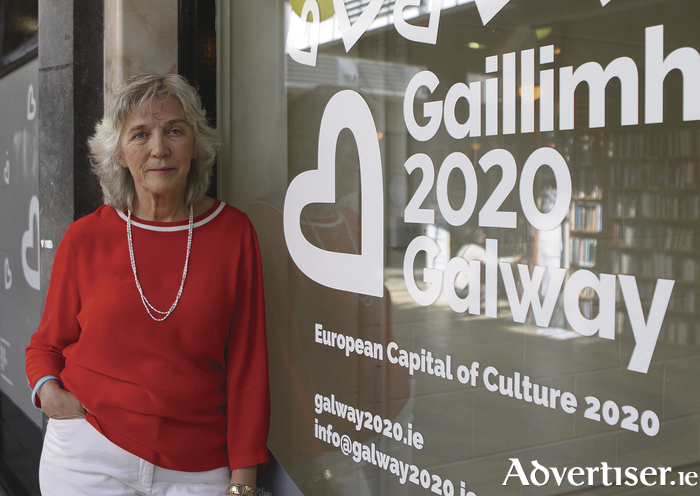 Galway 2020 has announced the appointment of local business leader Hannah Kiely to the position of Chief Executive Officer of the company tasked with delivering Galway’s European Capital of Culture in 2020. As CEO of Galway 2020, Hannah will be responsible for leading the Executive Team working closely with the new Galway 2020 Board of Directors to deliver the ambitious programme and vision before and during European Capital of Culture in 2020, as well as ensuring that a strong and lasting legacy follows to benefit the city, county and wider region. Reporting to the Board of Directors, her role will be to provide effective leadership and management to the company and its staff, and to engage with all stakeholders to ensure that it is an effective, high performing organisation that plans and delivers its business effectively. The CEO role is one of business leadership to create the right structures and environment to enable the Creative Director and the full team work within the city and county to deliver a truly unparalleled experience through Galway 2020. Hannah is an experienced CEO with over 25 year’s leadership experience. She is the former Chief Executive Officer of HC Financial Advisers, a graduate of NUIG, GMIT and the Institute of Directors of Ireland. A former President of Galway Chamber of Commerce, she has extensive experience in business both in Ireland and the UK, and previously won many accolades and awards including Business Woman of the Year award. Her appointment by the Board follows the completion of a rigorous, international multi-stage recruitment and selection process, conducted by Galway 2020’s talent partner Connected Talent. Hannah emerged as the clear frontrunner against a strong field of over 50 applicants from Ireland, Europe and around the world – evidence in itself of the depth and skill available within Galway. Ryan Williams CEO of Connected Talent commented: “the process for appointing the CEO of the new Culture Company was an onerous one with a field of extremely credible candidates from across the globe. We are confident that Hannah’s appointment will prove the perfect catalyst for the appointment of an exemplar executive team and we look forward to working with her on this exciting challenge”. As well as significant business leadership and governance experience, Hannah has been a long term supporter of the cultural, community and voluntary sectors. She has a strong personal interest in writing and painting, as well as being a passionate supporter of the arts and culture in Galway for decades. Having personally supported and worked with many arts, sports and community organisations, she has been instrumental in raising well over €120 million for the Film Industry. She has extensive experience in the educational sector having served on Boards of Management for many years also. She is also well known for her significant work with COPE Galway which includes working to develop a new domestic violence refuge for women and children in Galway. Hannah also set up the annual sleep-out homelessness fundraising initiative to raise awareness and funds, and has raised significant amounts of funds for several local charitable organisations. As someone who knows Galway, its people and its needs well, she has received a ringing endorsement from both City and County Councils. Galway City Council Chief Executive Brendan McGrath said ‘Ms Kiely’s appointment marks a major step forward for Galway 2020, and will signal a significant acceleration in the delivery of the project. Her combined business acumen, leadership skills, and passion for culture will help to shape and drive a dynamic organisation which will deliver an amazing European Capital of Culture for Galway and indeed for Ireland’ and his support was echoed by Kevin Kelly, Galway County Council Chief Executive who said that “Hannah has all of the skills and experience necessary for what will be a very demanding role and she is well equipped to ensure that the highest level of corporate governance will be in place for the project”. Hannah will be shortly joined by the soon-to-be appointed Creative Director for Galway 2020, who is expected to take up their new role in July, and together they will build the organisational and creative team that will lead Galway city and county on this extraordinary journey towards the European Capital of Culture in 2020 and beyond.